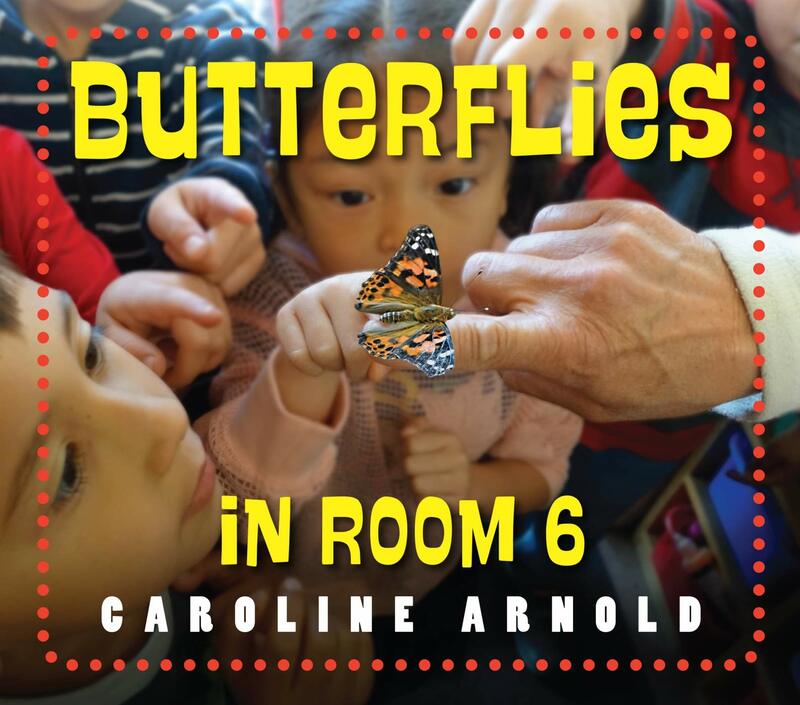 Summary: Mrs. Best’s kindergarten class, featured in Hatching Chicks in Room 6, is back, this time hatching butterflies. The kids are shown observing eggs, caterpillars, chrysalises, and finally, full-grown painted lady butterflies. They do more than observe, feeding the caterpillars, helping to move them to the cup where they’ll build their chrysalises, and getting to (gently) hold butterflies before releasing them. Photos and text provide plenty of information about each step in the process. The camera captures kids’ expressions from concentrated attention to wonder to joy on the last page as their butterflies fly away. Includes a page of questions; vocabulary; and lists of websites and books for more information. 40 pages; ages 4-8. Pros: I’d like to spend a few days hanging out in Mrs. Best’s room. The kids look like they’re having a ball, and learning about science in the process. There’s plenty of information about the butterfly’s life cycle; integrating it with a real class makes it accessible to young kids. Cons: You just know some kid is going to take the fact that larva poop is called frass and run with it. 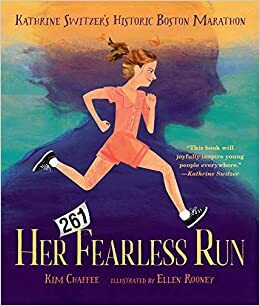 Summary: Growing up in the 1950’s, Kathrine Switzer loved to run at a time when girls weren’t encouraged to pursue athletics. At Lynchburg College, she was recruited for the men’s track team. When she transferred to Syracuse University, she was no longer allowed to compete, but she still worked out with the men. Their coach had run the Boston Marathon many times, and Kathrine decided she wanted to try it. Registering as “K. V. Switzer”, she became the first officially registered woman to complete the race (Bobbi Gibb entered as a “bandit”, running the Boston Marathon in 1966). When asked by reporters why she had done it, she replied simply, “I like to run. Women deserve to run too.” Includes an author’s note, a note about women and the Boston Marathon, and a bibliography. 40 pages; grades K-5. Pros: It’s a compelling sports story, and Kathrine comes across as down-to-earth and someone who young readers will relate to. Cons: Bobbi Gibb is mentioned in the women and the Boston Marathon note as someone who completed the marathon “after hiding in the bushes and slipping into the race”, which discounts her achievement as somewhat sneaky. This is misleading…read a more complete account of her story in last year’s Girl Running. If you would like to read this book on Amazon, click here. Summary: Everyone knows the names Neil Armstrong and Buzz Aldrin, the first men to walk on the moon, but maybe not Gene Cernan and Jack Schmitt, the last men to do so. In between were eight more who traveled to the moon between 1969 and 1972. 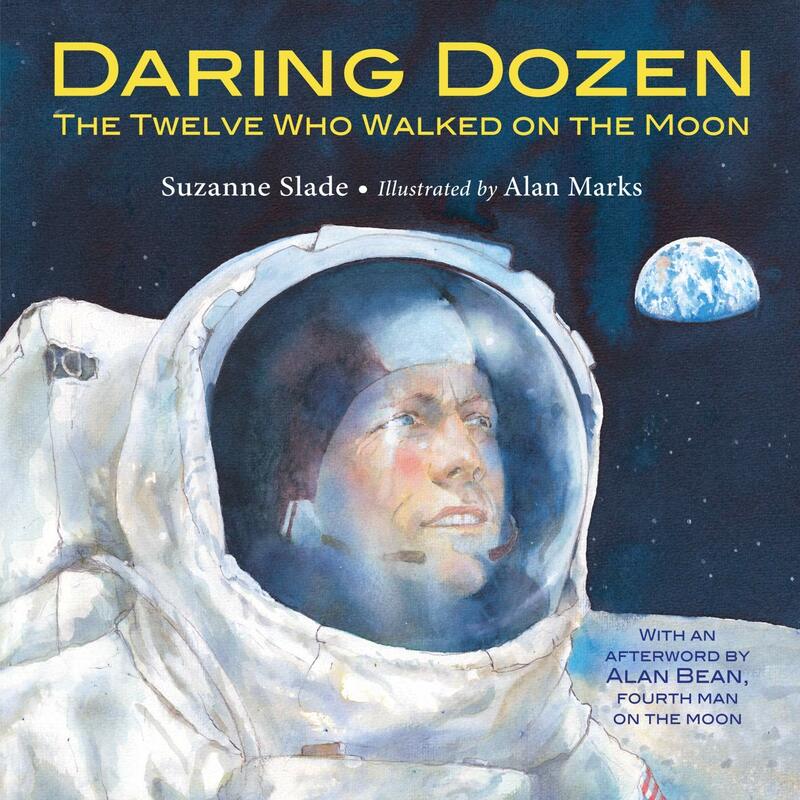 This book has a few pages about each of the Apollo missions, 8 through 17, the astronauts who traveled on them, and what they accomplished on each trip. The back matter includes an afterword by astronaut Alan Bean; a timeline to the moon from 1958-1972; additional information about the space vehicles used; and a page on each mission with photos, facts, and a summary paragraph. 48 pages; grades K-5. Pros: A fascinating look at the men who were well-known in their time, but tend to be forgotten today. The author reminds readers of the courage it took, and the danger that accompanied all the missions. She ends the timeline with the present, stating that lunar missions are currently being planned, and that kids may some day walk on the moon. Cons: There’s not much background given on the Apollo missions; page 1 begins with Apollo 11’s lunar module approaching the moon. 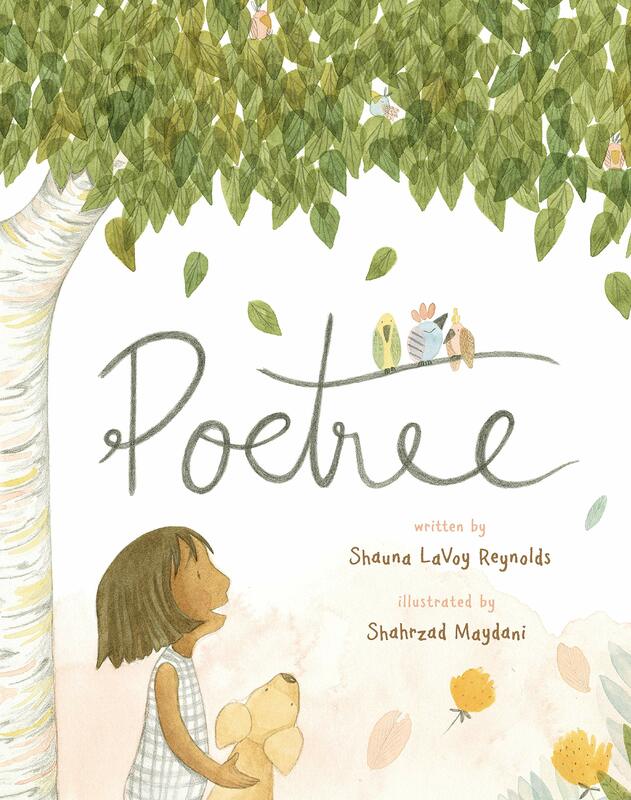 Summary: When Sylvia celebrates spring by writing a poem, she decides to share it with a birch tree in the park, tying it around the trunk. 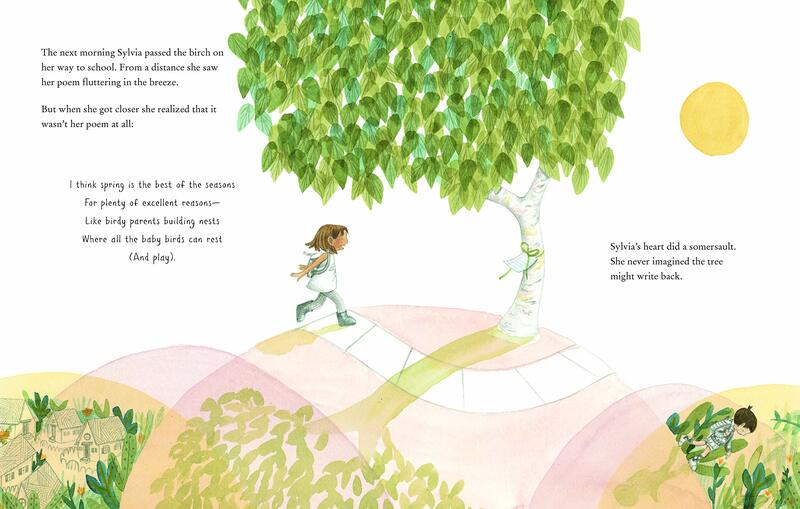 The next day, there’s a new poem tied to the tree, and Sylvia can’t believe it–the tree has written back! She thinks about the tree during school, which helps distract her from Walt, the most annoying boy in her class. The class studies haiku, and Sylvia shares her creation with the tree on the way home. Once again, her efforts are reciprocated the next day. A few days later, on a visit to the tree, who should appear but Walt, who actually starts acting nice. It turns out it is Walt, not the tree, who is writing the poems. He writes one on the spot to commemorate the beginning of their friendship: “If you want to share a poem with me/Give it to the tall birch tree/Or if you need a friend for writing/Playing with, or sit beside-ing/I’ll be here for you joyfully/Right beneath the Poetree.” 32 pages; ages 4-9. Pros: This lovely story of a new friendship would also make a perfect introduction to a poetry unit. Cons: Walt seems like a good guy…so why is he so mean at school? 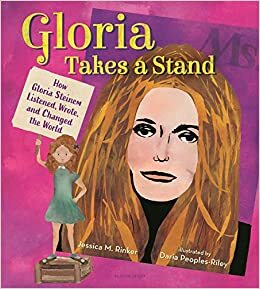 Summary: From the time she was a young girl, Gloria Steinem enjoyed learning more about the world around her. After graduating from Smith College, she became a journalist, but grew frustrated when she was assigned articles about celebrities and scandals. In 1971, she and Dorothy Pitman Hughes started Ms. magazine, the first magazine owned and written by women, that allowed her to write the kinds of articles she wanted. She also became known as a speaker during a time that women were advocating for equal rights. Although girls today grow up in a much different world from the one Gloria experienced, she continues to work for equal rights for all. Includes author’s and illustrator’s notes, a timeline of U.S. women’s history, and a bibliography. 48 pages; grades 2-5. Pros: An interesting look at a woman who has worked for equal rights for more than half a century. 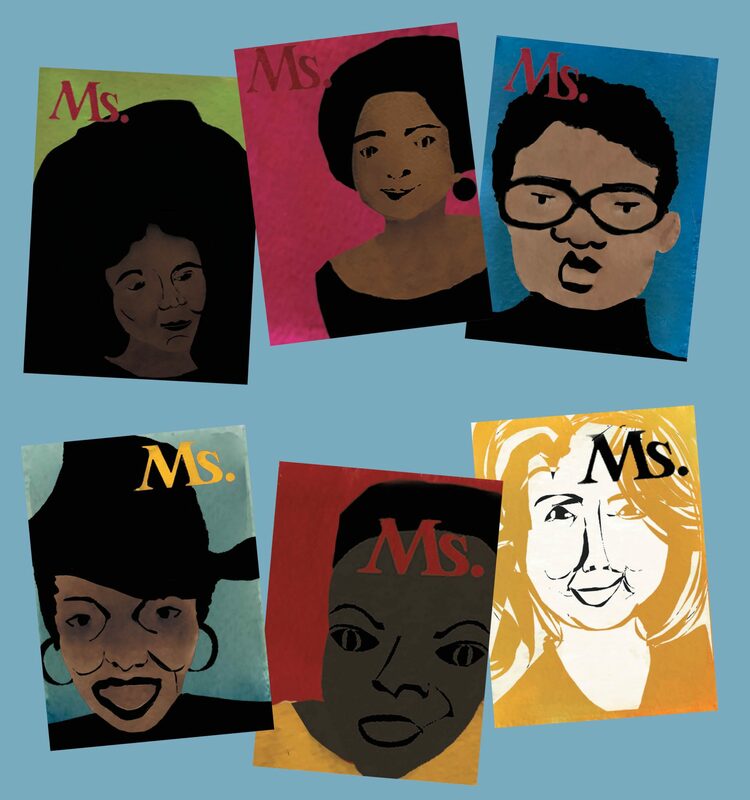 The Ms. magazine covers on the endpapers are a fun way to see some of the other women who have been influential in this area. Cons: The text was somewhat rambling; I think the story could have been told in 32-40 pages. Summary: Clea’s managed to do okay in school until she hits seventh grade. 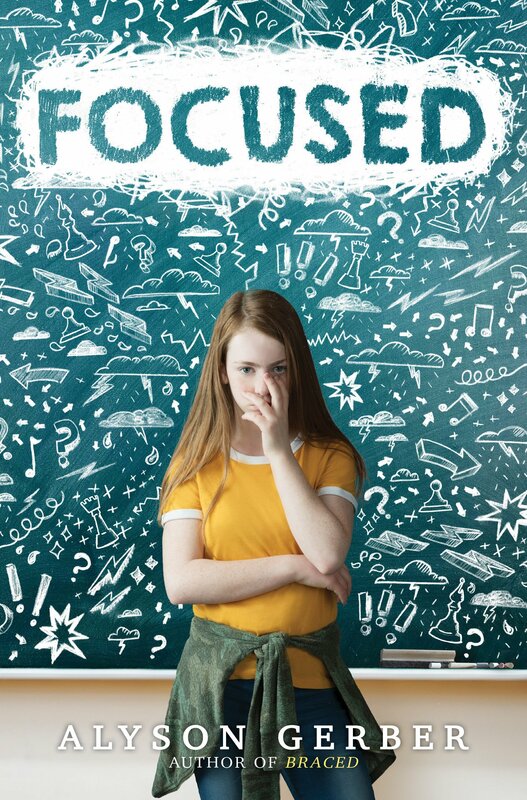 This year she’s more aware than ever of how her racing thoughts, distractibility, and tendency to blurt out whatever she’s thinking are affecting her at school, both academically and socially. Her parents and teachers have noticed, too, and after a few failed assignments, they decide to get her tested for ADHD. Her diagnosis both scares and relieves Clea. As she begins to better understand how her brain works, she learns to ask for help when she needs it and use new strategies to help her succeed. Clea’s passion is chess, and staying on the team motivates her to do well in school. With support from her friends, family, and counselors, Clea seems well on her way to success going forward. 304 pages; grades 4-7. Pros: Readers who have been diagnosed with ADHD, or know someone who has, will find this book enlightening and comforting. Learning to ask for help and being kind to yourself are themes that will resonate with everyone. Cons: The seventh grade kids seemed preternaturally adept at dealing with their emotions and conflicts with one another. Summary: Monkey claims to have a cat inside his box, but the cat will disappear as soon as the box is opened. 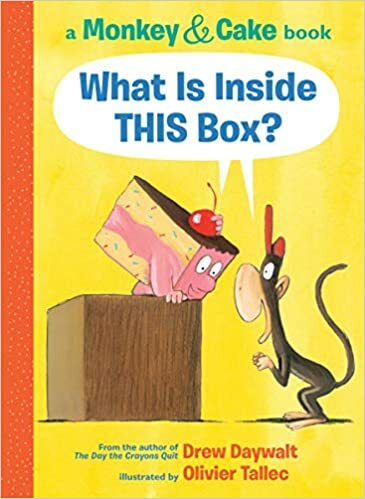 Cake is skeptical, until Monkey tells him he can use his own imagination to decide what the box’s contents are. Cake decides there’s a disappearing dinosaur inside. The two friends conclude that they will never know the answer for sure, and go off for a piece of pie. The penultimate page shows a cat peeking out of the box, and on the last page, he’s riding off on the back of a big green dinosaur. Includes some questions on the final endpaper like “Do you believe in things you can’t see?” and concludes, “Read. Laugh. Think.” 48 pages; ages 4-8. Pros: Another early reader series derivative of Elephant and Piggie, with two friends conversing in different colored cartoon bubbles. 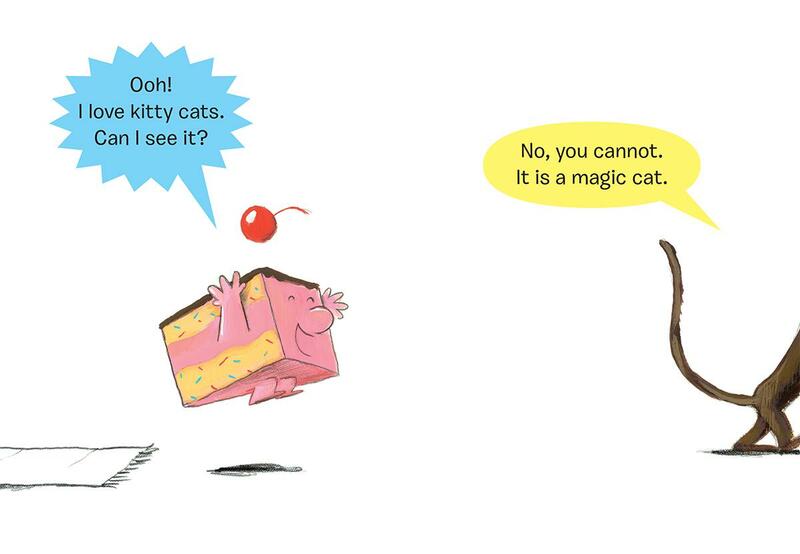 The storyline, which includes a nod to Schrodinger’s cat, could provoke some interesting discussions. Cons: Should a slice of cake be eating a piece of pie?